I have to admit that I had mixed feelings about writing this article. The reason for my hesitation was my love for poetry and the urge to tell people about the poetry of Toronto, and on the other hand, my belief that poetry should be read and discussed face-to-face rather than written about, because only when you see a person can you fully understand her perception of the poem. This short internal struggle led to this article. I won’t be writing about which Torontonian and Canadian poets I like, or about which books of poems I fancied over the years. This article will try to embrace the spirit of people who read poetry in Toronto — the clubs and cafés where they meet, poetry events they visit. These few lines are short but in my opinion very well written characteristics of the Toronto art scene, in which poetry plays crucial part. There are many places in Toronto where you can share your passion for poetry with other poets or people who love poetry and talking about it as much as you do. Here are a few of them that are really worth visiting. The Toronto Poetry Club meets informally, usually once a month, in downtown Toronto. In the first half of the meeting, each poet shares one poem with the membership by reading it aloud. You can also post your poem to be commented on and edited in the Toronto Poetry Club discussion forum for free before you RSVP. Note that you need to RSVP on the club’s website to read the poem aloud. 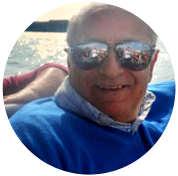 (All poems posted have a chance to be selected for publication in any of the club’s forthcoming magazines/publications, which is great because many talented poets get a chance to present themselves.) Any guest speakers are invited to recite in this part of the meeting. The second half of the meeting is the social, where we go to a local bar/café and socialize. The Toronto Poetry Club meets once a month at ING DIRECT Café at 221 Yonge St E. across from the Eaton’s Centre in downtown Toronto. This place is simply amazing. It’s very modern, and it feels very light. It’s designed with the patron in mind. You have everything you need for work as well as for total relaxation there. Don’t get scared off just because it is ING café. It’s certainly just as corporate as the Starbucks across the street, but it has better coffee and the proceeds go to charity! The coffee is supplied by Merchants of Green Coffee (unbelievable, I know) and there are pastries by LPK’s Culinary Groove. The socializing part is completely optional, but I really recommend it. People coming to the Toronto Poetry Club gatherings are really friendly and quite talented as readers. It takes place in the Firkin on Yonge. 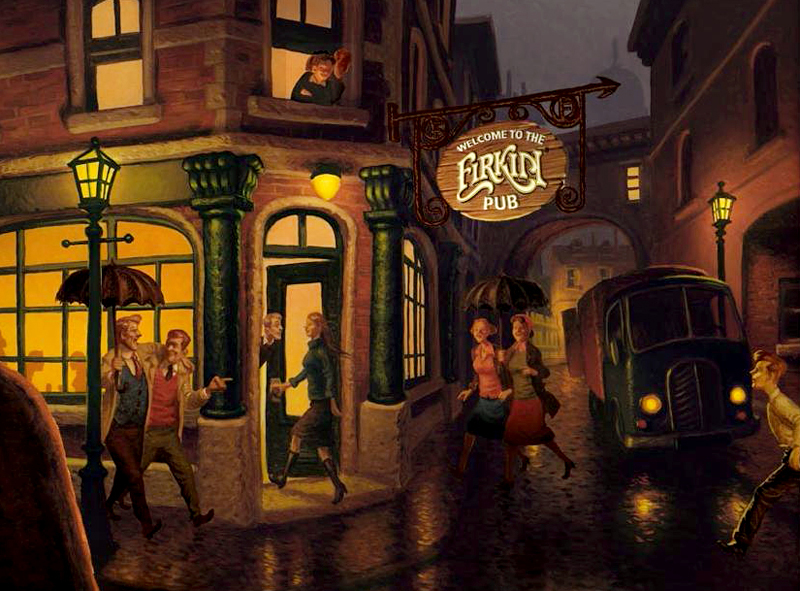 The Firkin is the original English-style bar. If you’re trying to find a place for more people to sit down, try on of the Firkins since most of them are quite big and usually not crowded. It depends on the night of course, but I’ve always found up to five free places for my friends and I. the pub is well lit and roomy. 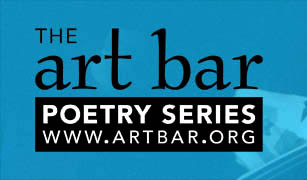 The Art Bar is recognized as Canada’s longest running poetry-only weekly reading series. It’s been on since 1991, featuring both well-established and emerging poets from Toronto and the rest of Canada. The series feature more than 120 poets a year, which is a huge number even for such a famous venue as this. Twenty-five percent of its features are emerging poets. The remaining seventy-five percent are mid- to advanced-career poets, many of whom have won local, national, and international awards for their work. There are approximately sixty to seventy people coming to listen to poetry every week, and still the meetings haven’t lost their intimate atmosphere. 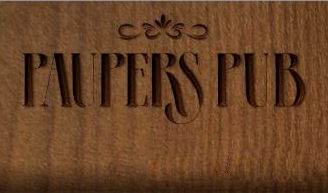 The Art Bar Poetry Series takes place Tuesday evenings at 8:00 P.M. at Paupers Pub on 539 Bloor Street West. The venue where the Art Poetry Series takes place is the only thing I don’t like about it. Don’t get me wrong; I think that Paupers is a great place, but it’s not well suited for poetry. It is cozy, but not in a romantic, poetic way — more in terms of family coziness. It’s nice location with very nice staff, but I don’t think it’s appropriate. I even accepted the ING DIRECT Café with the Toronto Poetry Club because it has some kind of strange attraction in it, but Paupers just doesn’t work for me and poetry. However, these poetry sessions are one of the best in the city. They tend to be so good that I probably would attend them even in the middle of the street. All in all, I think I’ll have to live with the choice of venue. The creative James Dewar’s poetry and spoken word series is held on the third Thursday of each month. The session starts at 8:10 P.M. You need to come in advance if you want to get a spot on the open mic, which runs six times in three-minute spots each show. It’s always an engaging evening. James features an eclectic selection of poets and spoken word performers and every evening features a poetry theme challenge. Poetry evenings take place at the Black Swan Tavern. This place has a very casual atmosphere, like most English pubs in Toronto. It’s also easy on your wallet, and they serve one of the best pints of Guinness in the city, so if you’re a fan, don’t miss the opportunity to combine a great poetry evening with a pint of Guinness’ wonderful taste. Toronto Poetry Slam is a competition that takes place twice a month. 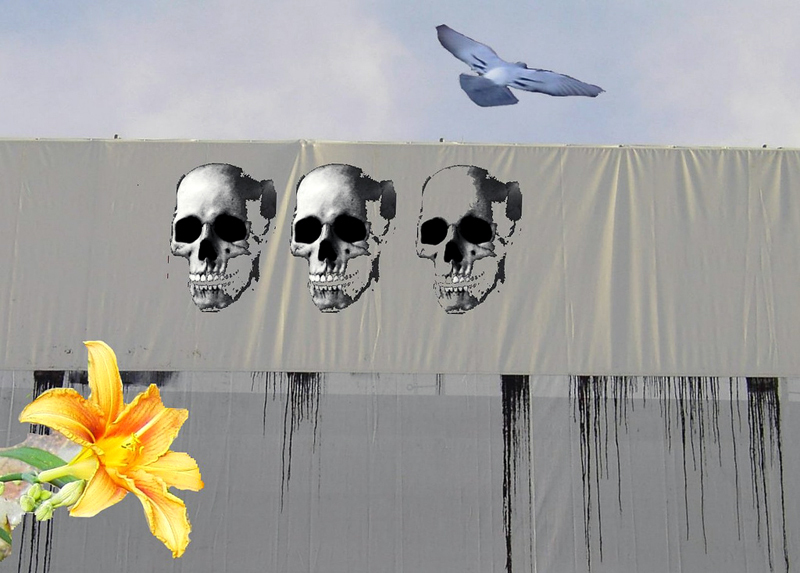 The poetry you can experience at these events is fresh — full of new ideas and trends. It’s a great opportunity to spend a really stimulating evening with your friends. Anyone can join the competition once they sign up. If you want to present your poetry, don’t miss the registration at 7:30 P.M. Judges from the audience score each poem between zero and ten points, taking both content and performance into consideration. Twelve poets are in the first round, then it’s reduced down to six, and the a final three poets battle it out in the final round. Winners get $80 and a bye into the semis. Poets can also get points toward making the Toronto Poetry Slam Team. Taking place at the Drake Hotel Underground, Toronto Poetry Slam features a guest poet from outside the city to showcase the incredible talent permeating the regional spoken word scene. Drake Underground offers an intimate and trendy atmosphere; in short, it is perfectly suited to hold events like Toronto Poetry Slam. The whole Drake Hotel is a place full of culture. The range of events they host is really wide and very interesting. I’d recommend a visit to the Drake Hotel if you haven’t had one yet! BAM! 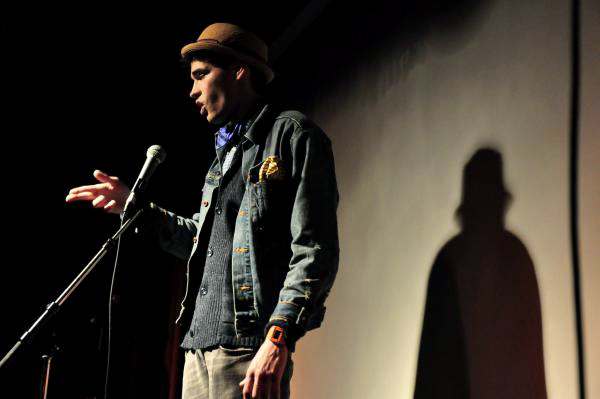 The Toronto Youth Slam was created to give young poets a forum for their writing. The slam was designed for poets age 12 to 19 who want to get up and show their stuff in a setting of their peers. This allows poets to get up and compete in a slam setting without the intimidation one might feel going up against much older veterans. If you have a child who’s a really talented poet and who’s afraid to take his poetry out to adult events, this is just the place for him. It’a a two-round slam, with a maximum of twelve poets in the first round and five in the second. After the slam, points are awarded by judges from the audience. Poets have three minutes to recite their poems, with a ten second grace period. The poets with the most points at the conclusion of the regular season are invited to compete in a semi-final round, with the top eight scoring poets proceeding to a final round to form a team that will represent the Toronto Youth Slam at performances and competitions. You need to sign up for the slam and open mic by 7:00 P.M., with the slam starting at 7:30 P.M. Aside from the competition, the audience and poets are treated to a monthly feature poet. Toronto’s Youth Slam takes place monthly at The Central on 603 Markham St on the second Wednesday of the month. The Central is a great place, very well chosen for youth poetry — firstly because it’s full of young people, and secondly because it’s a great place to be. They have great food, and when I say “great,” I mean jaw-dropping. The chef uses slightly unorthodox techniques of food preparation, creating an unexpectedly pleasing menu. The Central also offers live music, which wasn’t always to my taste, but the place is large enough for a person to escape it easily if she wanted to. I especially recommend the outside patio. The Plasticine Poetry Phanatics meet every third Sunday of the month at Paupers Pub on 539 Bloor Street West, starting at 6:00 P.M., but try to check before every session because they get postponed or they start sooner from time to time. People in Plasticine Poetry are truly inspiring and I really like the taste of organizers — they always pick something I like very much. If you have time, I recommend taking a look at July’s line-up, which features David Bateman, Jeanette Lynes, Lucille Barker, and Dawn Promislow. Isn’t that just amazing? Pivot’s mandate is to support the best of poetry and prose writers, both established and emerging, from Toronto and beyond. Spoken word, performance art, and other genres are well represented elsewhere in the city. Pivot hosts three readers a night, with no open mic. Pivot Reading Series meets every second Wednesday at 8:00 P.M. at The Press Club on 850 Dundas Street W. in the Little Italy neighbourhood. It has a total literary vibe and some journalists in the city are trying to revive that. It’s a great place to see a band, and don’t forget the lovely back patio. They have a really funny bar tender, and in general the Press Club feels very relaxed and welcoming. I’ve dedicated a separate section of this article to the Griffin Poetry Prize because I think that it’s the ultimate celebration of the Canadian poetic scene. This wonderful tradition is proof that Toronto is a central point of the Canadian poetic community. The world’s largest prize for a first-edition single collection of poetry written in or translated into English from any country in the world, the Griffin Trust For Excellence In Poetry aims to spark the public’s imagination and raise awareness of the crucial role poetry plays in our cultural lives. The poetry prize had to be of sufficient size to make a statement, a statement that declared that poets and poetry are just as important as novelists and their works. After all, poetry is universal, and it is hoped that this initiative will further Canadians’ interest in poetry from around the world while at the same time help promote Canadian poetry beyond our borders. This year’s winner is David Harsent’s book Nigh, published by Faber and Faber. David Harsent is an English poet. He was born in Devon. He has published nine collections of poetry. The most recent, Legion, won the Forward Prize for best collection in 2005 and was shortlisted for both the Whitbread Award and the T.S. Eliot Prize. 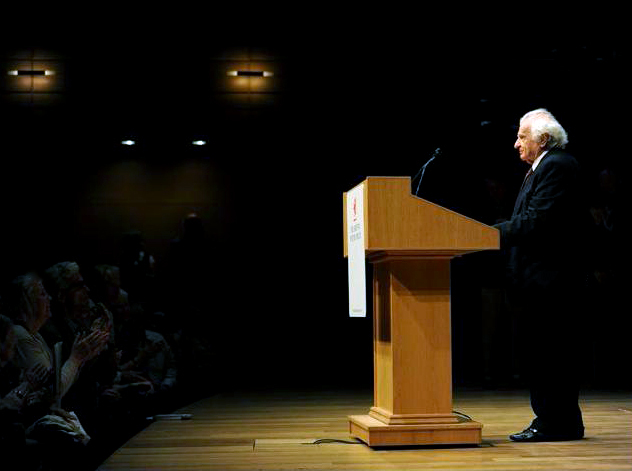 His Selected Poems (2007) was shortlisted for the 2008 Griffin Poetry Prize. The 2012 Canadian winner is Ken Babstock’s Methodist Hatchet published by House of Anansi Press. Ken Babstock was born in Newfoundland and raised in the Ottawa Valley. He is the author of three previous collections of poetry, including Airstream Land Yacht, which won the Trillium Book Award and was shortlisted for the 2007 Griffin Poetry Prize and the Governor General’s Literary Award and named a Globe and Mail Top 100 book. Ken Babstock lives in Toronto. Hi Jamie – I’m glad you wrote this about poetry. 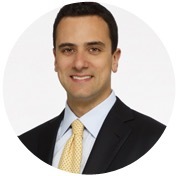 I am very inspired by the Toronto scene – I write a bit – and I really enjoy a lot of the work that is out there. I am writing to you because I am opening a small space in TO and wanted to host some poetry groups and slams. The space is “shabby chic” – in an old warehouse space sub-basement. Now this new space in TO is to house all that I do and love! So along with offering private yoga and meditation and therapy sessions, I plan to host all sorts of events, workshops, and performance. My ask of you is if you have any advice as to how to go about doing this? Would you come down to see the space and talk to me about it? Or do you know anyone who could give me some advice on how to go about it? I am finishing the space and would like to have something going on by mid-October. I am happy that you are able to combine your passions. I will contact you offline to see if I can assist you. This is one of my poem. I fell like flying to high. No one could see me. You are no longer alone. Hello! The Toronto Poetry Club became defunct in December 2013 and we have since restarted it under new leadership. Unfortunately we lost the old website and have to start fresh. If you could, please update your links to http://www.meetup.com/The-Toronto-Poetry-Club/ and http://www.torontopoetryclub.ca/. THANKS! Glad to hear The Toronto Poetry Club is working again! Your links on the page are updated now. did you try contacting them via forum listed above in the article? Or you can go to one of their performance and try book them for your space there. Writing on Facebook into one of the poetry groups could work to. Can you send me the address of your bar once it’s opened? Will you be serving food? On my blog, I mostly review restaurants around Toronto and I would be interested in visiting yours when it opens. My name is Lucia. Everyone calls me Lucy. I write poetry since 2008. And I completed two books already. I read one of my books in Drake Hotel already. But I haven’t had the chance and time to go out as I should to read more. What can I do to see more outstanding places to read more of my poetry close by? This is very hard now that I live outside of Toronto. Cedarvale has become a wealthy community with luxurious homes facing the Cedarvale Ravine Park, some of the city’s most beautiful natural landscapes. How much is 3 + 5?